Rodrigo Souza Fraga of Mercy Ships is currently serving his four-month commitment as a volunteer aboard Costa neoRomantica as part of the joint volunteer program announced in 2017 between Mercy Ships and the Costa Group. The year-old relationship enables Mercy Ships officers and engineers to gain sea service and experience onboard Costa Group ships. The volunteer program is one of only several aspects of the Costa Group and Mercy Ships partnership. 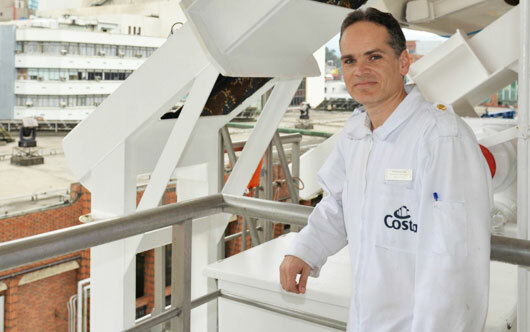 Last year, Costa Group donated 100,000 euros to Mercy Ships. In addition, Costa Group has pledged to continue building awareness about Mercy Ships’ mission and activities with Costa Group guests.